Born near the banks of the Mississippi in New Orleans in 1946, Dana has always lived, worked, and played near or on the water. After finishing college at LSU and Tulane University he began his career in sales and product development with Daimler-Benz Corp. which spanned the next two decades. During this time he owned, raced, and cruised several sailboats in Lake Ponchartrain then extended his horizon out to the Florida gulf coast and eventually the Bahamas and Caribbean aboard his 40 ft. cutter, where he cruised with his wife for almost three years. Dana obtained a 100 ton captain’s license in October 1982. 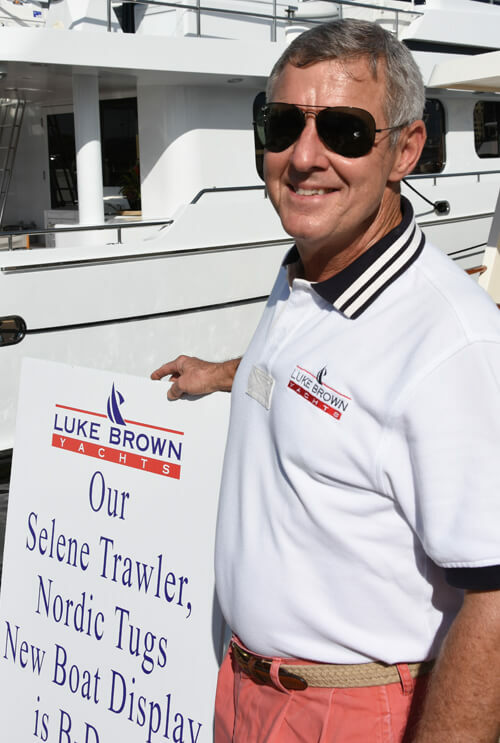 Returning stateside he settled in Fort Lauderdale and took the natural next step to pursue his love for blue water cruising, related yacht design, and yacht sales. Dana enjoys the long term relationships he has shared with his clients and looks forward to new and interesting challenges in the future. He tries to pass on a little “lagniappe” to each client (Cajun for “something extra”). Many customers are “sold” boats….Dana prefers to “help” his clients find the right boat for the cruises they have dreamed of; he knows there is a big difference. Dana Cambon focuses on boats that can go the distance in blue water in comfort and safety for their owners and their family, while representing a good value for the client.